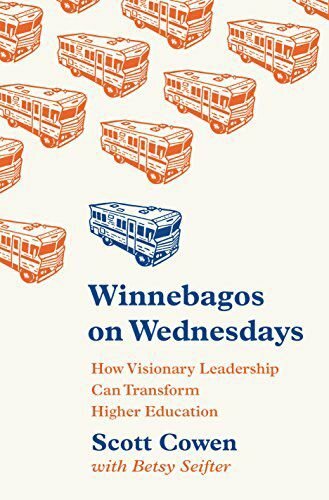 In “Winnebagos on Wednesdays: How Visionary Leadership Can Transform Higher Education,” (Princeton University Press), Scott Cowen acknowledges that in many ways, he fits the mold of the typical university president. He's a white male baby boomer with a Ph.D. — like the vast majority of university presidents, according to a 2016 study by the American Council on Education. The title of the book, "Winnebagos on Wednesdays," refers to the goal of a Tulane football coach who desired a sports program so successful that fans showed up for Saturday games midweek in their RVs. Cowen laments the "arms race" that has taken over college sports, and he believes strong leadership is needed in other areas of higher education. In "Winnebagos," Cowen describes his deliberate attempts to cleave to this mission of service and winnow Tulane’s pool of applicants.